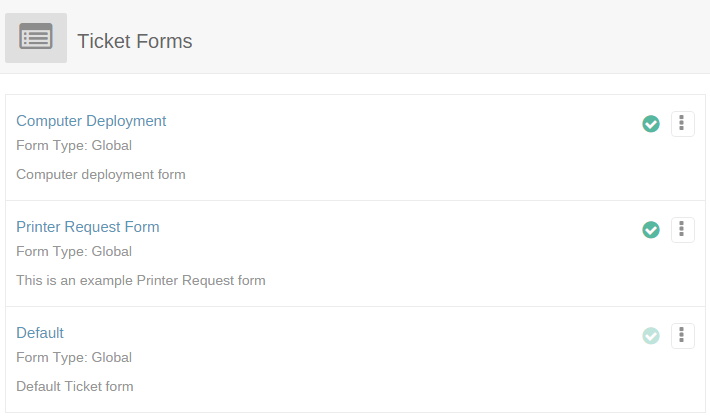 The ticket form feature in Trakdesk allows you collect and store important information from your customers. Whether it's information about an order or computer, printer or router, you can create custom forms for each of the services you offer to customers and insert them into tickets. Ticket forms can be accessed by both agents and customers with creating a ticket. Agents can add a single or multiple forms to existing tickets. This will enable you to provide support for multiple products and services, seamlessly collect required data from customers and store them in one place for easy access and management. Customers can access Global ticket forms from your customer support portal when creating a new ticket. Agents can access both Global and Internal ticket forms from your helpdesk support portal when creating or updating tickets. Additionally, internal ticket forms can be restricted to specific agents and groups. This is useful especially if you have multiple groups of agents providing support to several companies. You have the ability to restrict each ticket form and its data to selected agents. 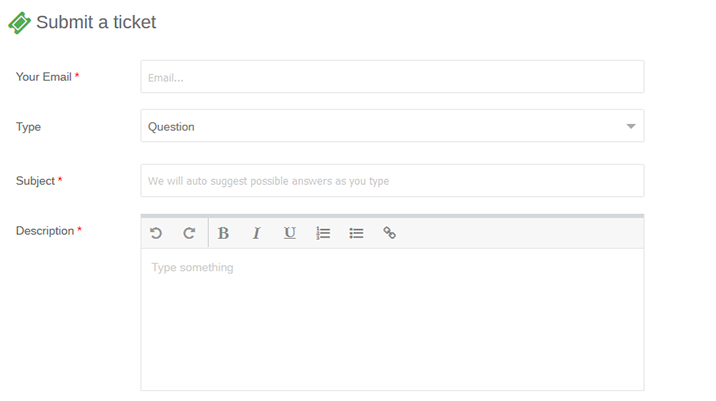 Each ticket form can be customize with its own inputs, dropdown menu, textarea and checkboxes. With a user friendly interface and easy to use drag and drop function, you can easily build and arrange your ticket forms to meet your specific business needs. Select the Ticket Forms option. At the Top Right of the page, click on the dropdown menu and select Add Form. Enter a name and description for the form. Note: If you have selected the internal form type, make sure to select the group of agents that is allowed to access the form. To add a custom field, simply click on the field type you would like to add. 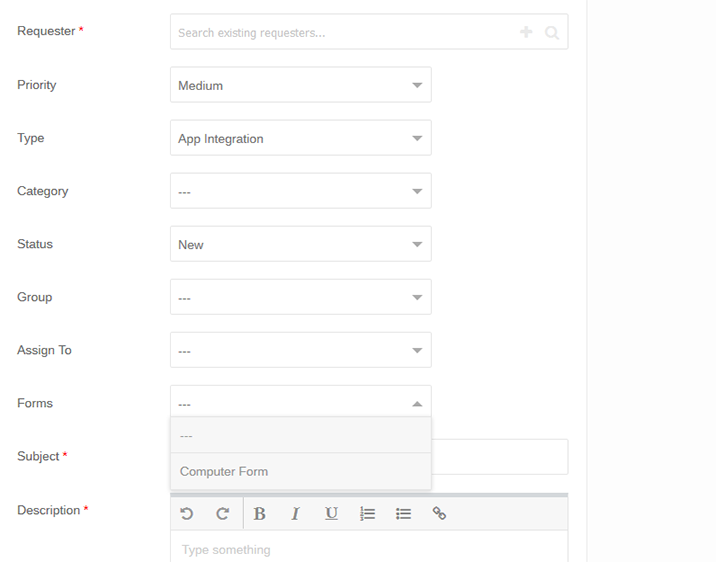 Once the field has been added to the form builder, the field properties will automatically open. You can then give the field a unique name and configure its options. Note: By default, the field will be added to the bottom of the form builder, you can rearrange the field by dragging and dropping it to its preferred location. Click on Save Changes once you are finished building the form. Your new ticket form should now be available for your agents and customers to use.